For the first half of my listening I ran balanced TARA Labs Zero cables from the 8.2's Solid-State Output card into my darTZeel NHB-458 monoblock power amps. For the second half, I used the Tube Output card. 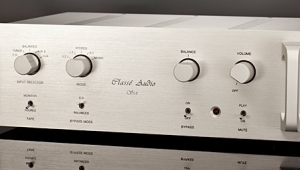 A standard preamplifier's job is straightforward: control gain, make adjustments to the signal's tonal and channel balance, and provide convenient switching among the inputs. 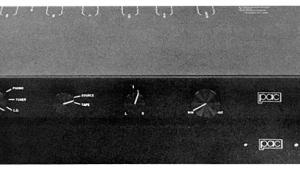 While some argue that a preamp should pass along the signal accurately and not make it sound better or, of course, worse, others argue that if a preamp can change and improve the sound, why not? I'm in the latter camp. The AVM Ovation PA 8.2 gets the highest marks for its convenience of switching. 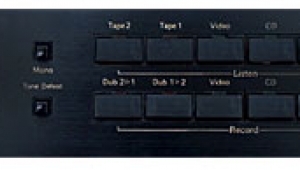 Selecting among inputs was easy, using either the remote control or the large Input knob. The ability to match input levels and name each input, as well as skip unused inputs, made things even easier, as did the other useful information displayed on the front panel, including the output level in dB. 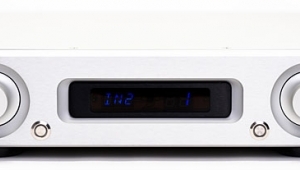 But the PA 8.2 is anything but a standard preamplifier. First, I spent time using the Line Input card to hear how it affected the sound of familiar sources (Rossini CD player, CH Precision P1/X1 and Ypsilon VPS-100 phono preamps), compared to my reference darTZeel NHB-18NS Mk.2 preamp (ca $38,000 with built-in MC phono preamp), which, though modular inside, can't be configured by the user. 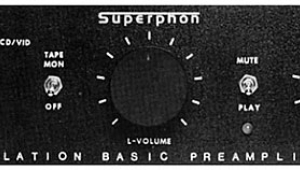 The Ovation PA 8.2's "pass-through" capabilities were very good through both the Solid-State and Tube output cards, particularly in terms of noise, which was ultra-low; transparency, which was very high; dynamic expression, which was very good; and frequency extension and balance, both of which were impressiveparticularly the 8.2's passing of low-frequency information and its ultra-open, artifact-free top end and super-clean reproduction of transients. 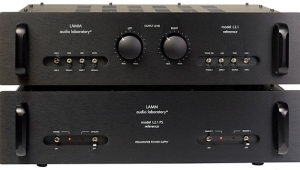 In these comparisons, particularly of the analog components, I could easily hear through the PA 8.2 their sonic attributes and characteristics, as well as the differences between the two phono preamps (as outlined in their respective reviews). The CH Precision P1's bass was more authoritative, and the Ypsilon VPS-100's rich but not overripe midrange and ability to float images in three-dimensional space was easy to identify. The Ovation PA 8.2's most notable sonic coloration or personality was a slight smoothing over and homogenization of all that it passed along, with less natural grit and grip than is reproduced (or not) by my reference darTZeel preamp. However, when I switched to the Tube Output card, most of that admittedly minor sonic character evaporated, without any penalty of added noise. 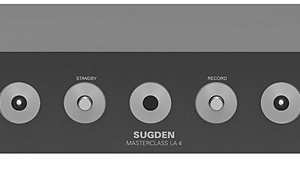 The combination of the Tone input card and Tube Output card produced the most satisfying and balanced sound, especially in terms of transient grip and definition, and soundstage depth. I did most of my listening through it. 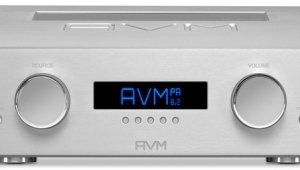 Since the PA 8.2 buyer has already paid for a chassis and a global power supply, the additional $2395 for AVM's Phono Input Card is spent on sonic performanceimpressively transparent sound, with high gain (as needed) and low noise, even when using cartridges that output only 0.2mV. 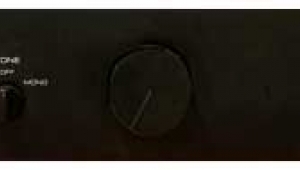 You also get the convenience of settings that are instantly adjustable via front-panel pushbuttons. I listened to a reissue of Lightnin' Hopkins's Lightnin' Strikes (LP, Tradition 2103), recorded in L.A. in 1965 and first released by Verve Folkways, and soon thereafter by Tradition (perhaps because of a contract issue). Hopkins is backed by Don Crawford on harmonica, Jimmy Bond on bass, and Earl Palmer on drums. It was probably recorded at Goldstarthis ain't no field recording! 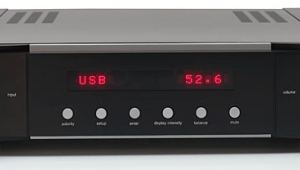 The Phono Input card rendered this vivid, three-dimensional, physically immediate recording with a level of sonic sophistication well above that of any $2400 phono preamp I've heard. Hopkins's voice hovered in space well in front of the speakers, his fingerpicking well articulated. You'll never mistake such a sound for anything digital. Of course, you have to factor in the cost of the PA 8.2's chassis, case, power supply, etc., but that's the point: they're baked into the cake. If you already own an Ovation PA 8.2 that you've been using in an all-digital system and want to try vinyl, $2395 will get you all the electronic performance you need to hear what good reproduction of vinyl can do. 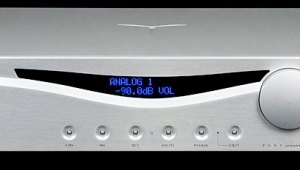 Can you hear more from vinyl than I heard from it through AVM's Phono Input card? Of courseit seems there's always more to hear. But what this module offers is plenty good in every way. 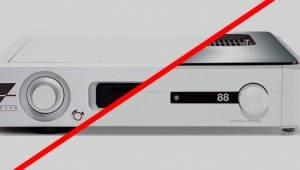 Unlike AVM's Ovation MP 8.2 CD playerD/A processor, which Art Dudley positively reviewed last February, the PA 8.2's Digital Input module isn't a media player, and of course it can't play CDs. It has asynchronous USB, optical, and two coaxial inputs, which by today's digital standards is a bare minimum. However, that's enough to play 24/192 files, though I discovered that Apple's USBtoUSB-C adapter will not allow my new MacBook Pro to communicate with the AVM's or dCS DAC's USB inputs, though it did let me download 24/192 files from a USB hard drive. Fortunately, I'd kept my MacBook Air and used it to listen to 24/192 files. Rather than up- or downsample, I used the AVM's Slow filter and stuck to native sampling rates. For 16/44.1 listening I chose, among other things, Dvorák's Cello Concerto, with cellist János Starker and Antal Doráti conducting the London Symphony Orchestra (CD, Mercury Living Presence 432 001), which was pleasingly presented in a velvet-smooth way. I listened to a long, eclectic series of recordings, included "Petra's Declaration," from Elmer Bernstein's score for the film Return of the Magnificent Seven (CD, Rykodisc 10714), "I'm Not in Love," from 10cc's The Original Soundtrack (gold CD, Mercury/Mobile Fidelity Sound Lab UDCD 729), and Taj Mahal singing "Betty Ball's Blues," from Conjure: Music for the Texts of Ishmael Reed (CD, American Clavé AMCL CD 1006). These were all familiar tracks, and all made for pleasant, unobjectionable, compelling listening free of digital etch or edge. The sound was 3D, airy, and definitely nonfatiguing, probably thanks, at least in part, to the Tube Output card. Of course, running the same tracks through the dCS Rossini (ca $30,000) into the Tone card's balanced input produced a larger-scaled, vastly more dynamic, harmonically vivid and detailed soundat about 10 times the price of AVM's Digital Input card! I listened through AKG's K701 over-ears headphones and Jerry Harvey Audio's Layla in-ear monitors, and while headphone listening at home isn't necessary for me, I ended up wearing both pairs for longer than usualthe sound was so smooth, spacious, well textured, and nonfatiguing. 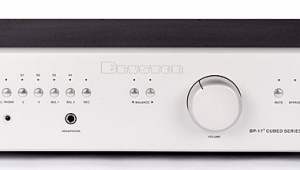 The Ovation PA 8.2's headphone amplifier is an attractive bonus. The few months I spent with AVM's Ovation PA 8.2 produced only satisfaction and listening pleasure. I didn't expect these moderately priced modules to equal or surpass the sound quality of my far more costly, standalone reference components, and they didn'tbut I also didn't expect to be so satisfied with the sound quality of AVM's inexpensive analog and digital modules, especially through the Tube Output card, which I highly recommend. I switched back to my reference gear only for comparisons with the PA 8.2, and when I was working on this month's "Analog Corner." 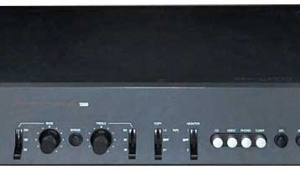 Modularity aside, the Ovation PA 8.2 performed particularly well as a conventional, all-analog line-input preamplifier. 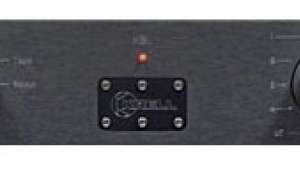 Its operating system, easy to configure and use, and its outstanding sound from all of its supplied moduleseach offered at what I consider to be a very reasonable pricemake the PA 8.2 among the most satisfying preamplifiers I've reviewed, especially when you consider that the interconnects linking my own outboard gear and preamp together cost more than the fully loaded PA 8.2. Crazy, no? Well, no, actuallybut why argue, when with the PA 8.2 you can do without all those interconnects entirely and, for a reasonable price, own something of high physical and sonic quality that can be easily upgraded and updated for the foreseeable future?